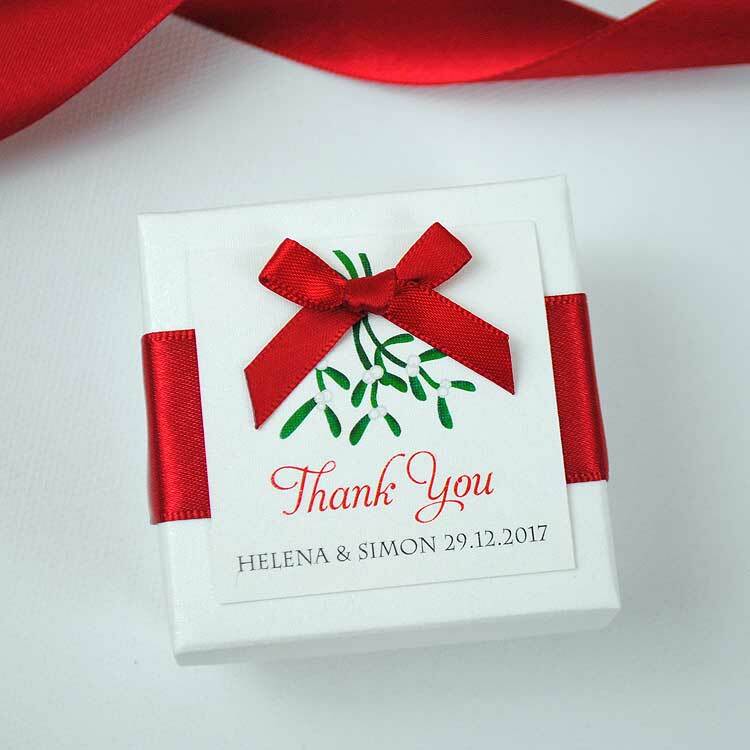 Wedding favours are traditionally given to guests at the wedding breakfast and double up as a eye catching finishing touch for your table decor. 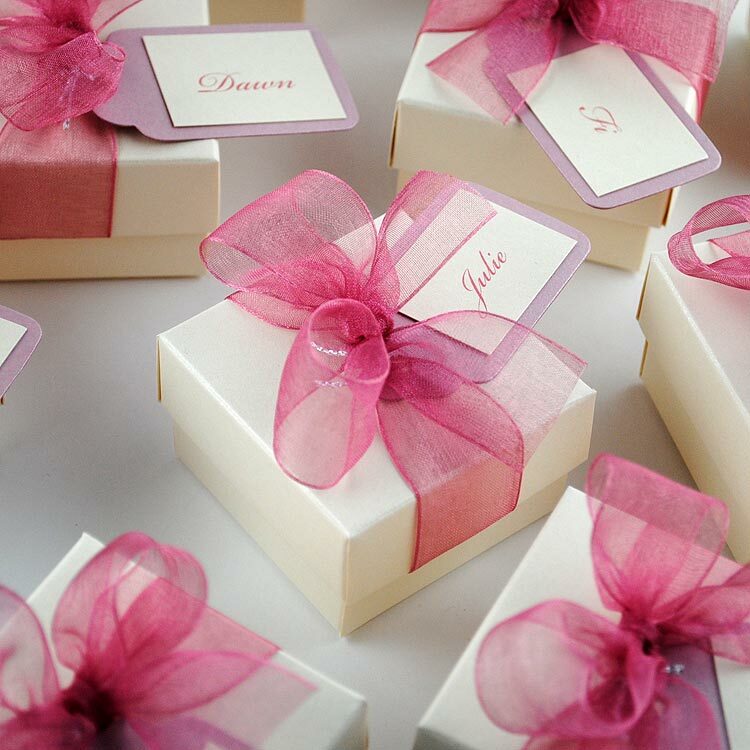 We offer a range of luxury handmade favour boxes ready for you to fill with your chosen goodies – delicious treats such as your favourite sweets, macaroons or handmade chocolate truffles make great wedding favours, flower seeds are a lovely lasting gift or why not opt for little soaps or scented candles and fill your reception with a beautiful aroma! 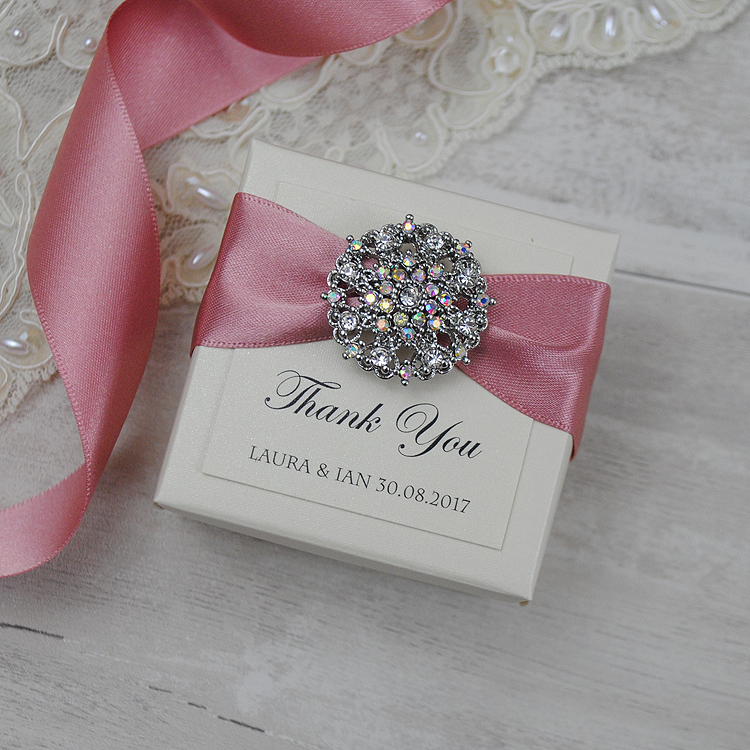 Have a little luggage tag added to your favour boxes printed with your guests name and let them double up as pretty place settings! 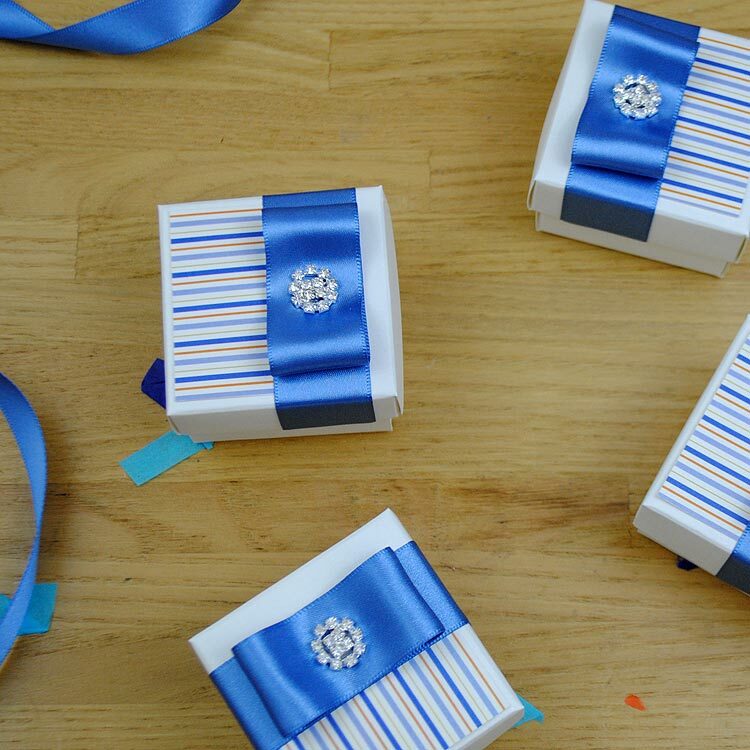 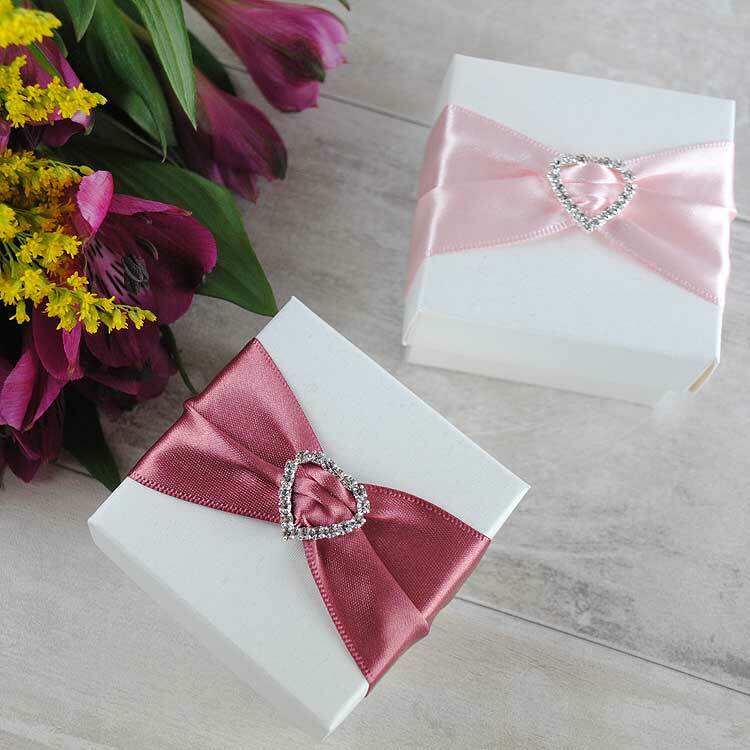 Our wedding favour boxes are available to match all of our invitations designs so they are the perfect way to carry your wedding theme through to your table decor. 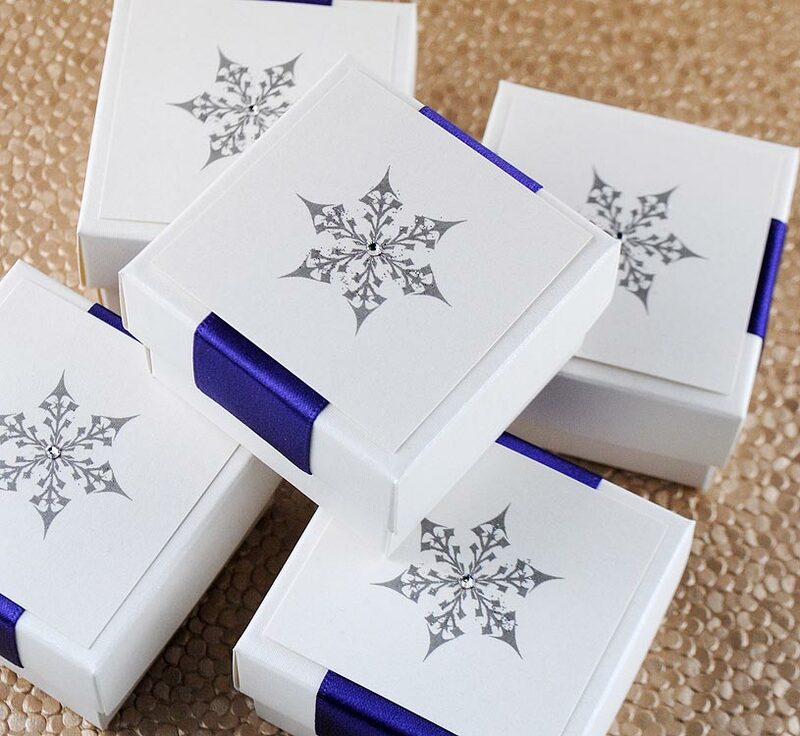 Measuring 55 x 55 x 35mm and available in white or ivory. 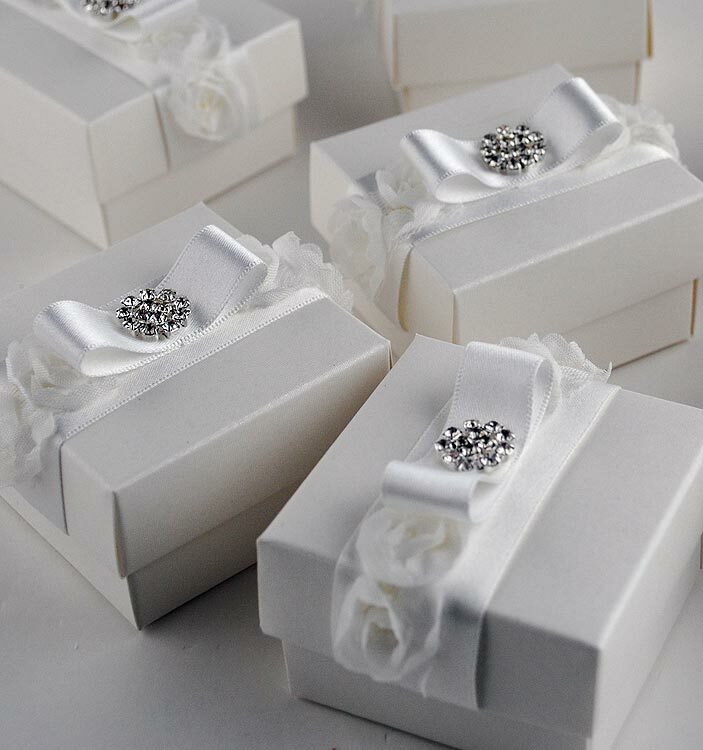 Call us today on +44 (0)7886116950 to discuss your requirements or complete our contact form with your details to order your personalised wedding favour boxes. 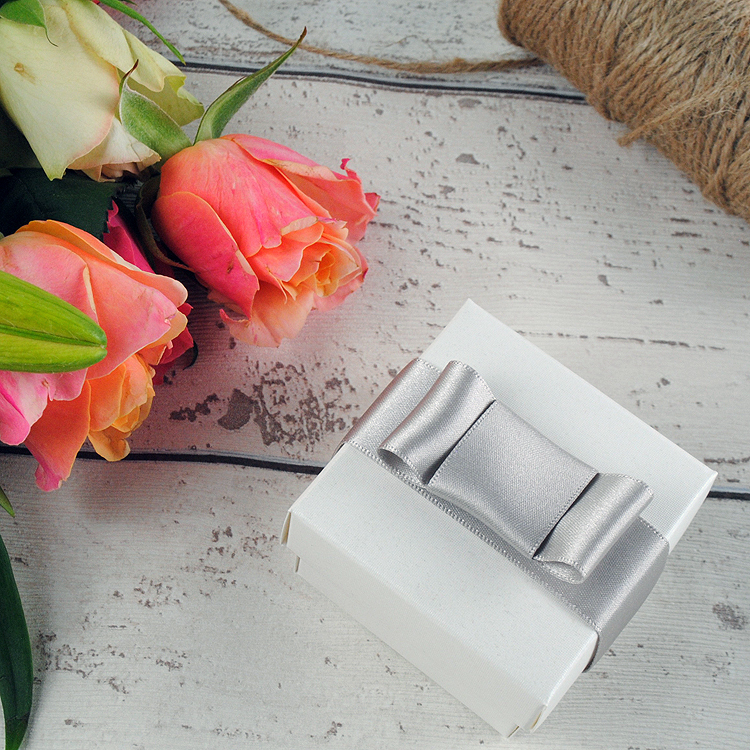 Click below to explore our full range of wedding and event stationery.